Size: Fits 15.2 x 20.2cm (6 x 8 inch) Photos! Actual Frame size (finished size) is 18 x 23cm (7 x 9 inch) and the frame is 2cm wide. Size: Fits 15.2 x 20.2cm (6 x 8 inch) Photos! ; Actual Frame size (finished size) is 18 x 23cm (7 x 9 inch) and the frame is 2cm wide. 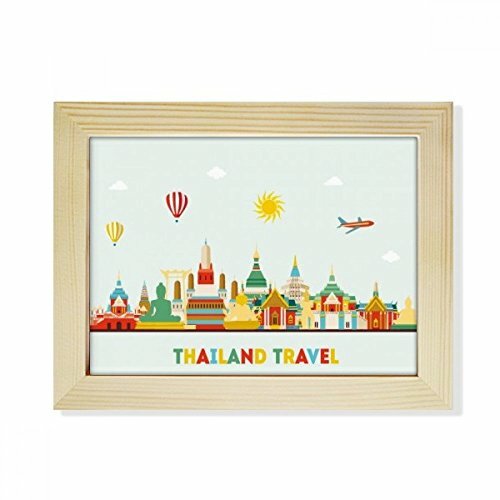 ONE2T - TUK-TUK TAXI THAI Sawdust Handmade Photo Frame Home Decor Photo Size 4"x6"